My wife and I aren't heavy drinkers but we do enjoy something to wind down the day with. Lately, we've been enjoying Chu hai, since it is a smooth and tasty option for the evening. Further, the Horoyoi brand is always offering some new limited edition flavor to keep it interesting. I'll keep you all posted on what new flavors we try out, but this week, it's Fruit Punch. 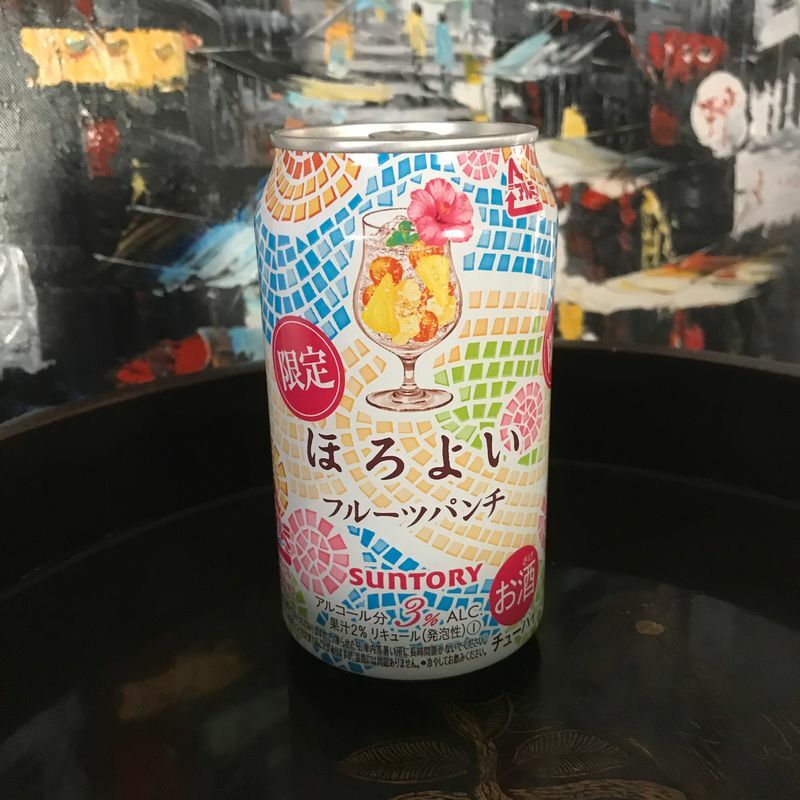 The art on the can definitely evokes something more tropical than what we have out here in yukiguni, but the question is if they would try for something tropical in the flavor like passion fruit or something else that would liven it up. The answer is "Meh, not really." It lived up to the name, fruit punch, but the chu hai tasted like something you would get from a bowl at a prom or a high school reunion. We'll see if Horoyoi can redeem itself with the next limited edition flavor.